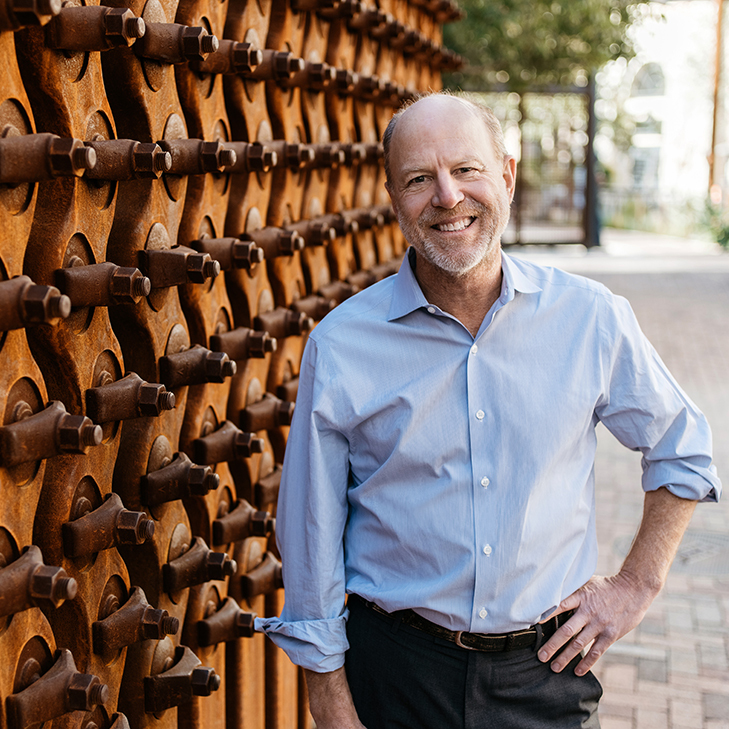 Ted was born in Corpus Christi, Texas and received his Bachelor of Science in Architecture from Stanford University in 1977. Ted has received wide acclaim both nationally and internationally for his simple, regional designs, which incorporate indigenous building forms and materials and respond to the context of their landscape. By employing sustainable strategies to a wide variety of building types and scales, Ted seeks to conserve energy and natural resources while creating healthy built environments. Sustainability is integral to his design process and has resulted in numerous high-performance, award winning projects. Ted’s notoriety has earned him invitations to lecture across the nation on subjects such as healthy building and sustainable strategies, fostering community and healthy office culture, among many other topics. Ted’s work in prefabricated housing has also become well known due to the success of the Porch House concept. Like many of Lake|Flato’s celebrated designs, the Porch House is born from the simplicity of vernacular architecture and leverages good design, quality, sustainability, and practicality.